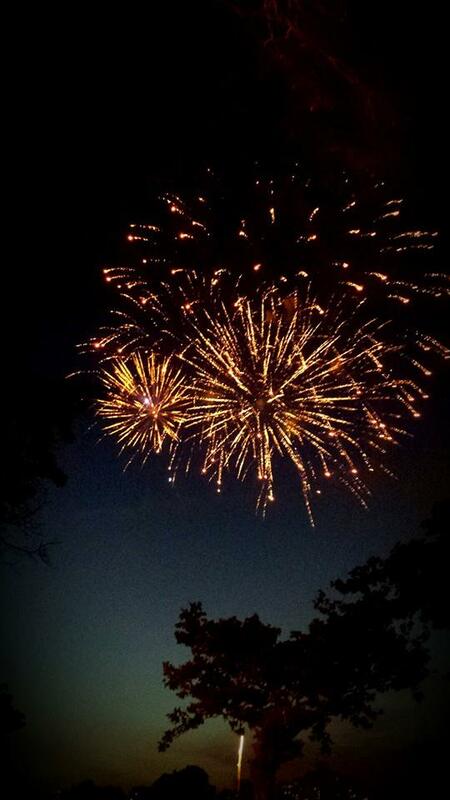 Fireworks and more for Independence Day! 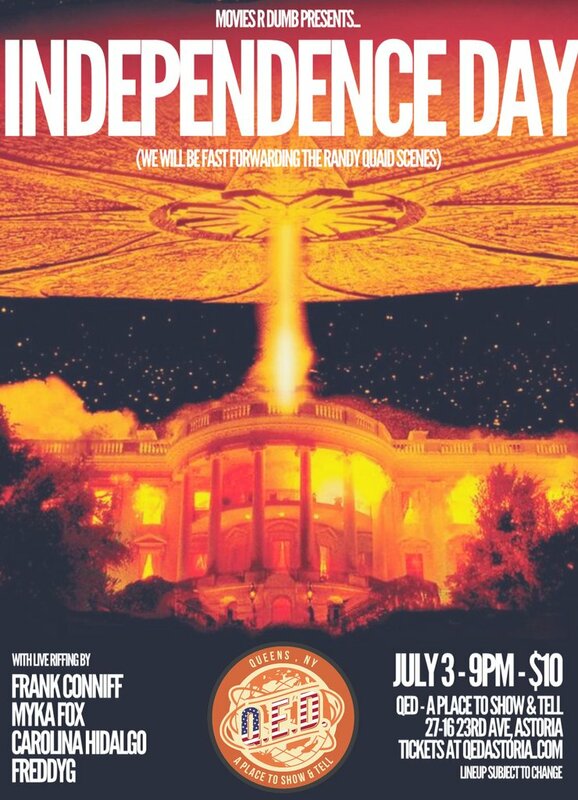 It’s that time again – Independence Day is just around the corner! The big deal to the city and country is the annual Macy’s Fireworks display, but to Astorians, it’s the Grucci fireworks display at Astoria Park the week before the fourth. Thousands of neighbors head to Astoria Park each year for the Astoria Independence Celebration—this year it will be on Thursday, June 29. 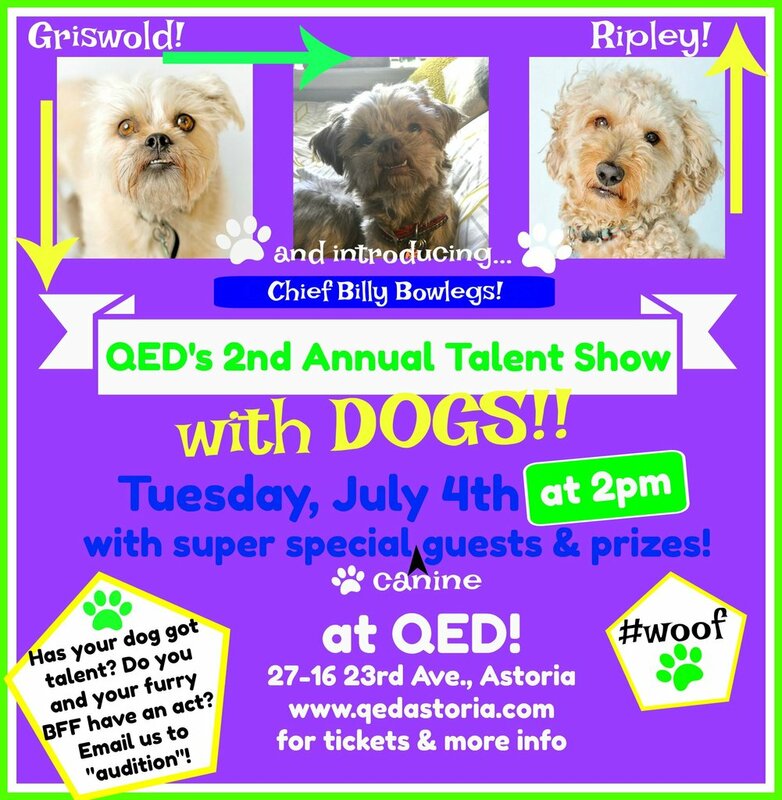 Organized by the Central Astoria Local Development Coalition, the place to set yourself up is on Astoria Park’s Great Lawn on Shore Blvd between the Hell Gate Bridge and the pool (don’t forget, the next morning the Adult Lap Swim program starts!). 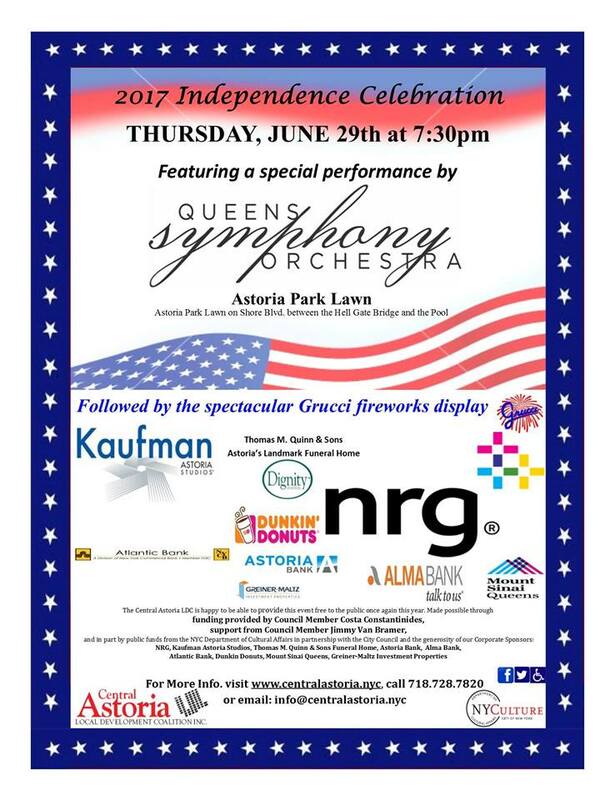 Music by the Queens Symphony Orchestra starts at 7:30pm, followed by what is usually a pretty awesome Grucci fireworks display, starting around 9:15pm or 9:30pm. There are often vendors selling snacks and objects that light up, but it’s such a nice thing to bring some food, drink, and a blanket with you and chill out for an evening. Fun fact: if you get one of the outer outside seats at Gregory’s 26 Taverna on 23rd Ave, you can view some of the fireworks while having a delicious Greek meal. 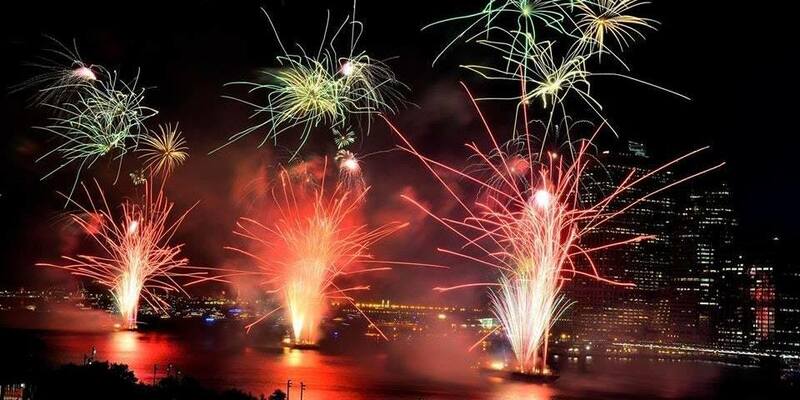 Next up, the Macy’s Fourth of July Fireworks—the East River will again be host to this, which means folks in Queens and Brooklyn have the best opportunity to see the show. The live broadcast will start at 8pm on NBC, starting with live musical acts. That will continue on for the fireworks, which start around 9:20pm. 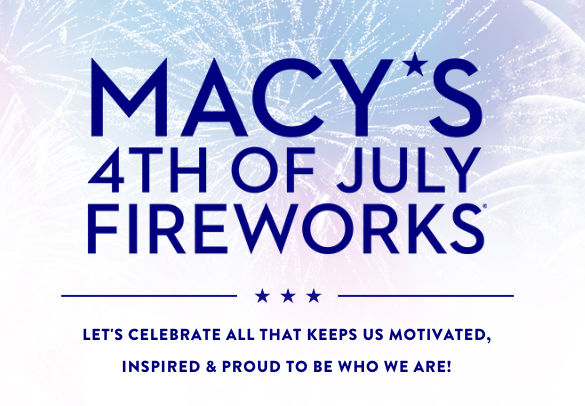 According to the Macy’s site, you can “rock to patriotic faves,” including Brad Paisley, Lady Antebellum, opera singer Jamie Barton, Heather Headley, country singer Craig Campbell, West Point Glee Club, USO Show Troupe, and the West Point Band. Read more about the performers here. Prime viewing will be at Gantry Plaza State Park, but get there early because it will fill up. Please note that Hunters Point South Park will be closed to the public AGAIN this year, so the Macy’s folks can use it for staging. We understand why this happens but it still burns us that the most desirable location to see the fireworks is off limits. Parking will be a mess in LIC, to put it lightly. 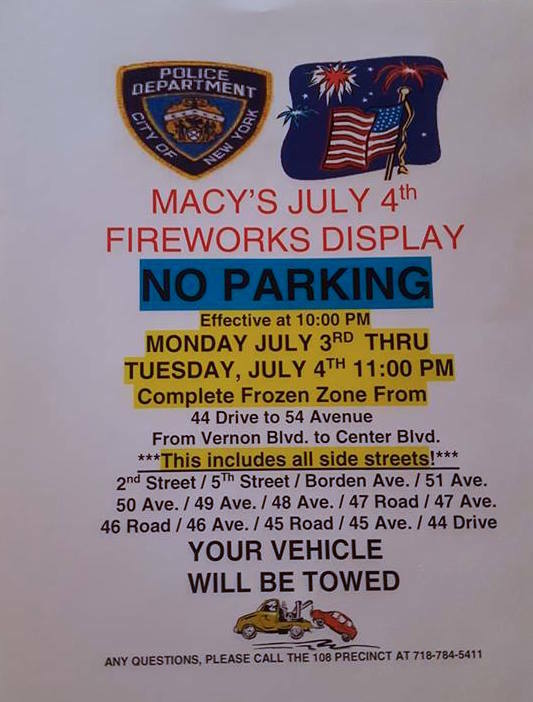 The 108th precinct announced parking restrictions from 44th Drive to 54th Avenue from 10pm July 3 to 11pm July 4. They call it a “frozen zone” and includes all side streets, too. If your car is parked in that time period, it will be towed. Thanks to Anable Basin for posting this on their Facebook page. Come grab a bite and a beer before and after viewing the most spectacular fireworks show in the USA! 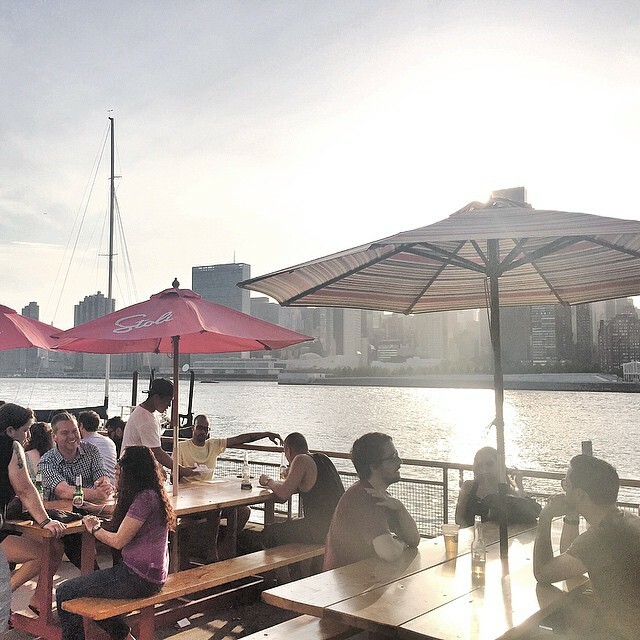 Located just 1 block behind the iconic Pepsi-Cola sign the market has the biggest selection of food and flea vendors in Queens plus an All-Queens Beer Garden. Cheers, to a great night market! RSVP for your chance to win Flea Bucks to spend at the market! 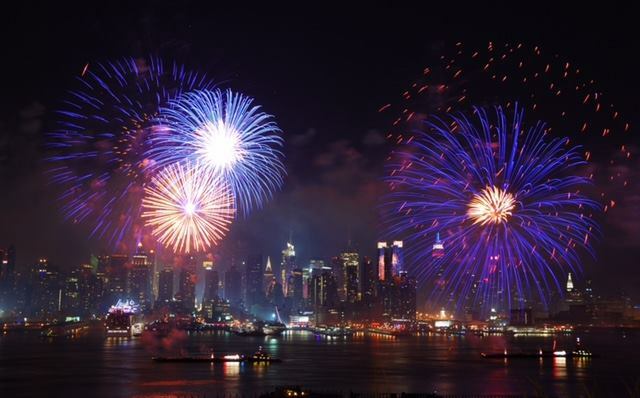 On the 4th of July, join us in Vista Sky Lounge to enjoy the Manhattan Skyline and fireworks. Enjoy our great BBQ buffet. Entry fee is $85 for adults and $35 for children under 12, and includes buffet. 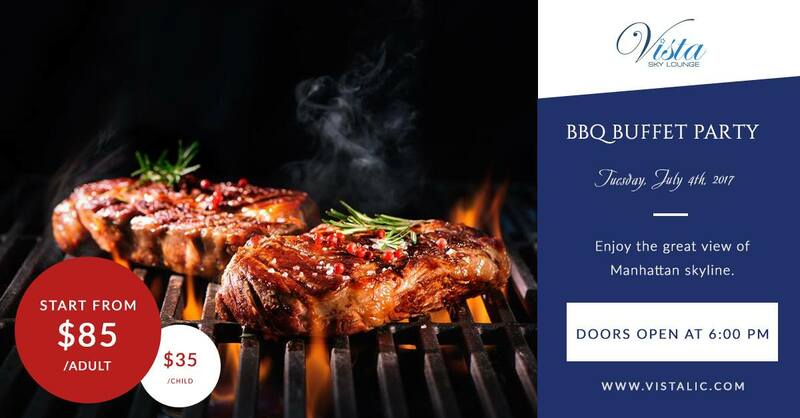 BBQ Buffet from 7PM to 9:30PM. Cash bar will be available. For reservations make sure you call Mike at 917-602-8408. Update 6/27/17: DJ Vlada and a live band (“Nikita and her Cool vibes will be performing 3 sets!“) will be the entertainment for Anable Basin’s July 4 fireworks watch party. Tickets are $40. Advice from the organizers: Tickets are needed in order to get in, due to street closures; without tickets, you can’t pass through any police lines, so buy them ahead of time. 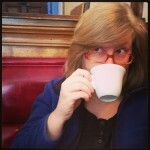 There is no online ticketing link; you must buy them in person. 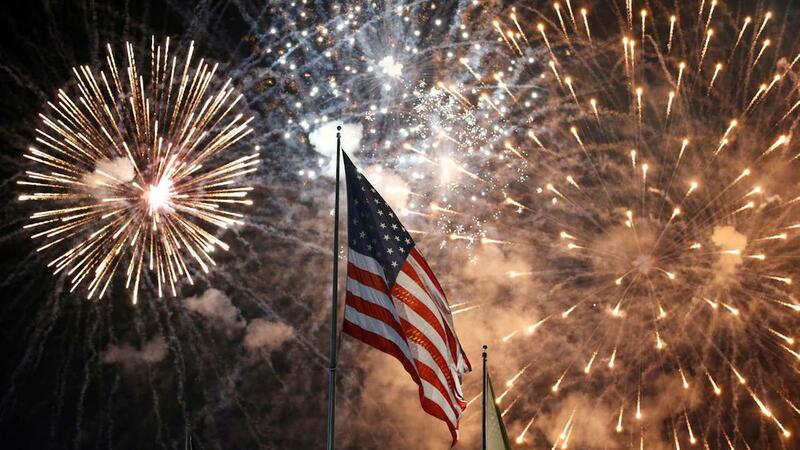 Southpoint Park and Four Freedoms State Park will host a Fourth of July Family Fireworks Celebration from 5-10:30pm. Registration will open on Wednesday, June 28 at 1pm. Only 2,500 tickets are available and registration is required. You can register for up to FOUR free tickets PER HOUSEHOLD using your name, address, and email address on this site. Only visitors with tickets will be allowed to enter the event; no tickets available at the door. Individuals registering multiple times will be eliminated from the system and WILL NOT RECEIVE TICKETS. Registration will open on Wednesday, June 28 at 1pm. Print your ticket or show your confirmation email on your smart phone to collect a wristband. Wristbands will be distributed near Sportspark (250 Main Street). You will need the officially issued wristband to enter the event. This rule is extremely important for public safety. Anyone without a wristband will not be permitted into the event. No tickets available at the door. Entrance is first-come, first-served. The capacity for this event is 2,500. Gates open at 5pm. All visitors will be subject to airport-style security. Expect a 15 minute walk from all modes of transportation to security check-in at Southpoint Park. Shuttle service will be provided for those requiring assistance. No reentry into the event. No entry is permitted after 9pm. Latecomers will not be admitted. 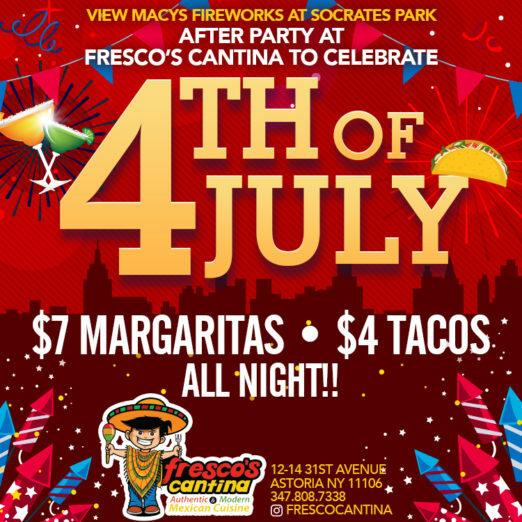 Head to Fresco’s Cantina after the fireworks show—they’re located in the old Bear restaurant space. Get your fill of $7 margaritas and $4 tacos all night.